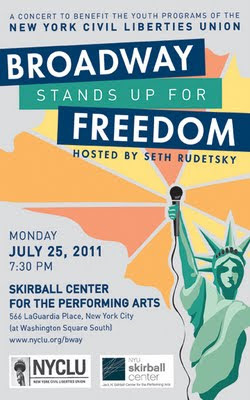 Save the date for Broadway Stands Up for Freedom, the annual star-studded concert to support the youth programs of the New York Civil Liberties Union. Nice blog! There is really nothing like seeing a play on Broadway! War Horse and The Book Of Mormon have made this year so exciting! Thanks for the info!